I know I said this was over and done with… But I have reason to return! For those of you who follow(ed) this blog and hoped to hear what became of the lyrics written during this process then I have a pleasant surprise for you. Having left Morpheus Rising almost 5 years ago I was unsure what would happen with the lyrics I’d written and some of the musical ideas I had. I quickly decided I wanted to continue to write the songs, I wanted them heard, but I wanted to do them justice. Five years later and I’m finally in the place I need to be to start working on these again and, hopefully, do them justice. Of course, they’ll sound nothing like I first envisaged, I wrote them with the guitars/style of Pete and Daymo in mind and I’m now working on them with my own guitar style with contributions from across the UK and beyond. It’s coming together! Slowly, but there’s definitely movement. Over the last few years I’ve had little or nothing to do with any bands, or music in general, other than as a voracious listener of all styles and genres. At least that’s the public face of it. In actual fact I’ve been slowly working away on my own songs, writing notes and lyrics, sketching musical ideas, teaching myself mixing and recording techniques, learning how to improve my ability to play the guitar (after a fashion) and generally keeping my toes in the water so to speak. I’m now at the point where I have sufficient ideas and, perhaps more importantly, the promise of more free time which will allow me to focus more on actually working towards getting these ideas in to some form fit for public consumption. I’ve spoken to a few musicians I respect regarding contributing their talents to some of the tracks and, thankfully, they’ve agreed to assist me in fulfilling my aim. The first of these collaborations was actually completed some time ago. As a first step I wrote, and recorded, the music for the Birdsong lyrics while I was in Kenya and recorded some basic tracks myself. I contacted my longtime friend Craig Hughes, a well respected solo musician and founding member of Dog Moon Howl, to ask him if he fancied writing some lead guitar parts. He got a bit carried away! I ended up with three additional guitar parts and a couple of stunning solos to add to the mix. In the coming weeks and months I’ll be writing on the blog on the new Scaedunengan site. I’ll pop back and update you once this has been set up and it’s all systems go. Wow! Can’t things turn on their head in a whistle! When I wrote Part One of this it was destined to end in a completely different manner… And, to be honest, I think that may have been easier. Welcome to my Swan Song, Part Two. You may have gathered that the job I have currently is not, to my mind, the one I signed up for. It certainly isn’t under the same Terms & Conditions as I signed up to and, due to various legal ‘get out’ clauses in the numerous Acts of Parliament, White Papers etc you’d normally use to fight your corner, there is sod all I can do about it. It was for these reasons, and the impending changes to pension, salary etc and the possibillity of redundancy, that I had made up my mind that I would be leaving this form of employment. I had decided that life was now for living, for my family, and that the life of a Service family would not fall into either of those categories. It pains me to say it, I always raised my eyebrows at those who do, but this isn’t the Army I joined. Well. Not quite. More of a quiet ‘ding’ as the email arrived in my inbox. They sent me a list of job opportunities to choose from for my next post, and this on the day I’d just told my boss I was ‘off’. There were the usual bottom of the barrel options involving the revolving doors or training, training some more then deploying followed by a little rest then training, training some more then… But, right there, at the bottom of the list was the golden ticket. I made a couple of quick phone calls, one to confirm the email, one to my wife, and I was off to Willie Wonka’s factory! Due to the changes in budgets etc one of the British overseas training areas is being redeuced and, as a result, another is being expanded. As part of this expansion there is a requirement for a new management role to oversee all the IT. And they’ve offered it to me. In Kenya. I can’t believe my luck! I love the country, I’ve only just come back from a self-drive safari last month. The opportunities of experience for my wife and children are immeasurable and I could never even consider not giving them those chances. The whole package is beyond belief, it’s a challenging role, it’s a new role, it’s an exciting one. My children will only grow from the experiences they will have, my wife will get the rest she so definitely deserves and we will have two years as a family. What more could a husband and father ask for? There is, of course, a downside. Well, not quite, but it’s definitely a negative. I will be leaving Morpheus Rising. I’ve written my thoughts about this on my personal blog and won’t go into it further here, but it seems strange that, after creating this blog and going through my writing process in the public eye that none of that knew material will see the light of day. At least not in its current form. So. Rather than being an announcement that I am leaving my job this has become an announcement that I’m leaving the band I sing with! It’s a strange world, isn’t it? I warned you there might be at least one more post on this after I got home, and I had my reasons. Welcome to my Swan Song, Part One. As I’m sure you are aware there are many changes being undertaken at the moment across the whole of the United Kingdom with regards to budgets, finance and the economy and this is being felt by Government Departments more than most. (If you aren’t aware, can I work at your job please!) This includes the huge amount of Civil Servants now fearing for their jobs and, a fact I find most surprising given our Nation’s Military’s current operational footing, the Ministry of Defence and the Armed Forces themselves. RAF trainee pilots being laid off, Navy battleships being scrapped, Army Regiments being amalgamated, you’ve probably heard it all. Actually, you don’t know the half of it. Over the last 3 or more years small changes have been made which have a direct and devastating effect on the career prospects and lifestyles of the British Army soldier and this while the operational commitment is more intensive than ever. The question is: Who will they turn to? The banks are too busy lining their own pockets (did you see Barclays Bank Bonuses this year? ), the Government are too busy paying off their own debts and bowing to the pressure from the banks (Aren’t the Conservative Party funded primarily from the City? Qu’elle surpis!). We’re heading for a disaster and the one place which had been previously considered a ‘safe bet’ when times were hard, the Armed Forces, is also under the knife this time. The full Army career has been extended past the 22 years which it has been since time forgot*, the minimum length of service has been extended, allowances for living away from home were ratified (read condensed and reduced), more recently announcements have been made stating that allowances have been cut by up to 75% in places and on average 40-50%. This includes the overseas allowances, and living allowances. There’s talk of increasing the cost of Service Families Accommodation and even the Single Living In Accommodation. We still struggle to get medical and dental care for our families despite promises from the Government and NHS, we no longer get to choose where we’re housed when we get out, we’re low priority on Council Housing lists… need I go on? * I’ll expand on this in more detail in Pt. 2 of this entry. If you want to know the effect some of this has had on Service leavers then please try to find a copy of the recent Panorama special report – Forgotten Heroes. I did, and I went through a whole torrid range of emotions ranging from anger, distress, disgust and a little happiness… It’s hard viewing for someone who may well be in their shoes sometime soon. 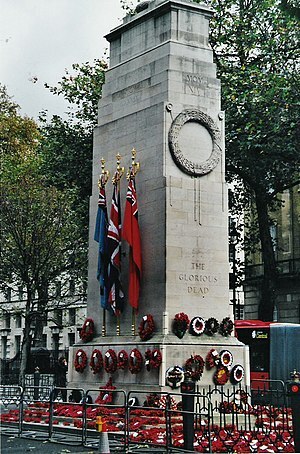 There has been correspondence regarding the pensions of soldiers being at risk (not what has already been paid in of course, just future contributions and payments), the possibility of increasing the parental contribution to their children’s education costs (including a minimum contribution of up to £1,000 on top of that expected already). The H.M. Forces community website posted today (17th Feb 2011) that the Government have no plans as to how to deal with the 7,000 children returning home from Germany when the Army withdraw from the Rhine within the next few years (the fact they don’t know where they’ll put the soldiers is a different matter entirely!). And amidst all this doom and gloom Messrs Cameron and Fox continue to chirrup about the Military Covenant; the promise of both Government and the wider community to support the Military who defend this Nation. Please don’t get me wrong. I disagree with much of what is being done in the name of economic recovery, the Big Society Bank, the pogrom on Civil Servants, the decimating of Local Council budgets. I’m not an economist, although I studied economics at school and worked in the financial sector for a few years, and so I can’t offer an alternative. I just believe that this knee jerk reaction to the result of decades of decadence has the capability of causing society as we know it to collapse. And yes, I’m most concerned about the cuts to Defence, why wouldn’t I be? It’s where I make my living! All of this has led to serious decisions being considered by individuals at all levels in the Armed Forces, including this call sign, and it’s not conducive to an enjoyable time on Post Operational Tour Leave. Here’s a link to one of the tracks I wrote with Morpheus Rising almost two years ago. Seems strangely prophetic now. As the darkness loomed the rain which had been threatening all day began to fall, not much, but just enough to kick up the dust and bring on that smell you get after a thunder storm which has been promising to erupt for days finally falls… It matched my mood. Today didn’t quite start as expected. Our replacements arrived in the early hours of yesterday morning and, by lunchtime, we’d started the long awaited Handover/Takeover process, HUGE sighs of relief all round. With that in mind, this morning should have arrived with some sense of elation, or at least a little excitement. But no, another bad night’s sleep, another early start and, to cap it all, there were clouds from one edge of the horizon to the other. Rain. Private Joseva Saqanagonedau Vatubua was killed on 1st January 2011. He was on patrol with his unit, a member of 5 Scots (prevously known to us all as the Argyll and Sutherland Highlanders), when an explosion killed him. ‘Big Joe’ as he was known to those who served with (according to the eulogies read today) was a mountain of a man who played rugby at the highest level, loved his job and was a charismatic character. These services are hard to take at the best of times. 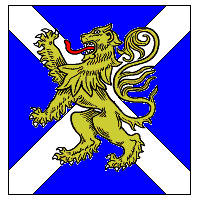 When the Scots or Irish are involved they’re even harder for me, as a piper, as the lament always makes my hairs stand on end and the lump rise in my throat. Today was no different. The service panned out as normal, the introduction, prayer, eulogies, last post, lament, reveille, reading and dedication all rolled out as normal and then something new happened. ‘Big Joe’ was Fijian you see and there are a fair number of these proud people serving in our Army including many in 5 Scots. As the vigil drew to a close those Fijians present broke into song. It was obviously rehearsed as they performed like a well schooled choir* with the bass and baritone voices forming beautiful harmonies as they sang a song I don’t know, I don’t even know the title and heard too few of the words to even hazard a guess, but it wasn’t the lyric. It was the sentiment. And it broke me. After the song ended we were fallen out to our duties and, for the first time in all the vigils I’ve attended, there was no buzz of conversation until what seemed like several minutes after that order. Usually it’s like an immediate release valve, but not tonight. There seemed to be a sombre mood over the gathered crowd and tonight, having spoken to several friends it seems I’m not the only one to have been affected. We returned to work with the clouds still hanging over us and continued to work on our HOTO. I’d like to think that rain was whomever or whatever it is we pray to when we hold these services showing his respect, or at least understanding for our loss. It may seem wishful thinking or childish fantasy, but tonight it makes me feel that little bit better. I’ll be heading home within a week or so and I’ll be doing my best to forget everything out here, for at last a little while. I will, however, always remember the day that the heavens cried for Private Joseva ‘Big Joe’ Saqanagonedau Vatubua. * It turns out it was a choir, and one which Joe had been a member of. As you may have guessed from the dearth of posts over the last month or so, it’s been quite busy over here. We had a terrible period over Remembrance with 5 days (as far as I can recall) of continuous Op Minimise which started during a Vigil service for a British KIA, in fact Minimise was called during the 2 minutes silence. Since then we’ve had several extended periods of the same and, due to the R&R period, we’ve been running around like headless chickens trying to keep our heads above water! It’s certainly made time fly and now, with the journey home being next month (woohoo! ), thoughts are turning to life in the ‘real’ world and the return to a life which, at this time, seems a little distant to say the least. I’ve now started looking towards time with family, Birthdays, Anniversaries, holidays (3 so far! ), a plethora of gigs to see, and all those things we take for granted in our normal lives. For me this includes my alternative existence as the singer for Morpheus Rising and all that involves with performing, recording, promoting etc. If you’ve been following this blog you’ll know that I’ve taken the opportunity to use my time to work on lyrics for an album we’ve been planning for some time now. For many reasons we weren’t able record the album before I deployed (mostly due to the fact that I had months of training to do before I got out the door!) and we’ve been busily planning it since we accepted that fact. I’ve written lyrics for some of the new material the guys have sent me while I’ve been out here, I’ve written lyrics which have yet to be put to music, and I’ve written some which, at this time, seem to be vastly different to the type of thing Morpheus Rising do. It’s been a great experience but, due to the tempo over the last few weeks, I’ve been unable to work on much for some time now with only a few lines here or there as seeds for future material. All this is good news, we’ve already more than enough material written for a full length album from the core material we toured last year, add to that the material we’d written over the Summer months and then the couple of tracks we’ve got to demo stage while I’ve been out here and we have the luxury of being able to pick what to include, the hard part will be the picking!! We’ve several working titles and are now looking to the final preparations for time in the studio to do something we’d all hoped to have done almost a year ago! But it won’t be in the first quarter of the year, it’ll be nearer the Summer before we’re anywhere near release and even then we still need to plan the live dates to support the release… Being independent has it’s advantages, but there’s a helluva lot of work to be done by 5 guys! Talking of live dates, we’ve three already in the planning stages for next year with a few more being looked at to make the most of any travelling we’re doing. There will definitely be a ‘returning home’ gig as soon as we can get it sorted, and we’re looking to plan a ‘Southern’ tour this year to respond to those of you who couldn’t make the Lords of the North tour last year where we accompanied The Reasoning on the Northern dates of their Adverse Camber tour with a fair amount of our own headline dates thrown in. And we’re hoping to widen the net with perhaps some bike shows or festivals thrown in for good measure… It’s all go! I must first apologise to those few of you who read this blog. I had intended to write much sooner after my return from R&R but circumstances haven’t been favourable for various reasons. I don’t know when I’ll get to post this, suffice to say I’m writing it the Sunday prior to Remembrance Day and Op Minimise has been in force since 7AM. It’s been a sombre day with yet another British soldier being injured. This time I know the cause, and the injuries, and I’m appalled. It’s at times like these that I question this life, not in the personal, suicidal tense but with regards to being a member of the Armed Forces as a career. Many people when confronted with a service person questioning their employment in this time of conflict ask “well, isn’t it what you signed up for?” In many cases this is an innocent, if naive, question, on others it is meant to draw debate. I know it’s not why I joined up, yes there was the awareness of the risk it may occur, but at the time I joined the Northern Ireland Peace Process was under way (albeit in its infancy) and Bosnia was beginning to ease its burden on our forces. By the time I’d completed training I found myself in Kosovo, since then there has been a constant stream of conflicts drawing us further afield, stretching us further and increasing the toll of dead and wounded each Remembrance Day. It’s been said that with great power comes great responsibility but that’s just it; those who are out here do not have any great power, they are simply dedicated to a task which has fallen to them for whatever reason. They are no different to you or your neighbours, friends and family and yet the Nation expects them to face what no man should be asked to. Teenagers are forced to face their mortality, and their mates, on a daily basis, and all those who support them face the knowledge that the incessant procession of helicopters approaching Nightingale mean more of us have come closer, or too close, than any ordinary man should be asked to. In 2008 when Morpheus Rising released An Ordinary Man in aid of HELP for HEROES I was criticised by fellow servicemen for the lyrics. Their argument was that we are anything but ordinary, we were a special breed, a breed apart. They missed the point. We are not extraordinary individuals, we do not have extraordinary powers, but we do face extraordinary situations and dig deep enough within ourselves to find the strength of character with which to face those situations. It’s a matter of camaraderie, fellowship and a common bond of respect for those whom have gone before which enable us to do what we do, whatever we do. The full lyric for An Ordinary Man can be found here. The song is currently available on the re-released single Fighting Man and can be purchased from iTunes and most online music stores as well as in CD format from Amazon UK and Morpheus Rising’s own store. Proceeds from the single are being donated to HELP for HEROES and the Royal British Legion‘s Poppy Appeal. The personal impact however, is a different matter. What happens in this conflict and those things people see have an effect, a different one on each individual, but they will have an effect. I remember speaking to a young Royal Anglian in hospital who explained that, despite having only served 4 years in the Army, he was leaving once he returned home. His reason? Not the fact that he had lost friends, nor the fact that he was lying in the hospital bed opposite mine having been injured by shrapnel from an RPG. His reason was the fact that he had joined the Army to be a sniper and he was out here doing just that. As far as he was concerned he had nothing left to achieve. He had joined the Army with a goal and that goal had been reached. Time to leave. There are others who go home with a desire to return, they relish the challenge, they crave the adrenalin, they want to avenge their friends. There are those who return home physically intact but shadows of the men they once were. PTSD, or shell shock as it was once known, is now widely accepted as a serious condition which needs treatment and care. In years gone by it has been ?? as cowardice, madness or an excuse. It is not. It is a reaction to something which has been seen, been done, even heard, which that individual’s character has decided is too much to deal with head on. It manifests itself in a different wat with each person who suffers. It is prevalent and it needs to be dealt with. In reality everyone questions there involvement in a conflict such as this. Whether the reason is religious, moral or ethical, at some point every man jack will question the validity of the decisions made in the heat of conflict or the peaceful corridors of power. It is this journey of self discovery which will determine the type of person we are. It is the revelations we become aware of through that process which will determine the people we will become. On Thursday November 11th at 11AM I hope you will all observe two minutes silence. Not just for those who have already paid the ultimate sacrifice, or those who find themselves at Headley Court, but also for all those Fathers, Sons, Daughter and wives, girlfriends, boyfriends, relatives and mates who find themselves out here doing their job. After all, it’s what they joined up for isn’t? It’s been a few days since I returned to the fold, and they’ve been bliss. Family and friends, music and looking forward to more of the same over the remaining week. I had one of them sent to me in Afghanistan but I wasn’t able to give it the attention it deserved (and believe me, it needs attention!) out there, the other two were waiting patiently on my desk when I returned home. First up, ‘The Big Red Spark‘ from the world’s smallest progressive rock band, Tinyfish. This is a hard one. Despite knowing one of the members I’d heard very little of Tinyfish’s previous material and so had no bar against which to measure. Perhaps this is a good thing as I doubt anything that’s gone before could have been compared to this. A concept album in every way ‘The Big Red Spark‘ can, in my opinion at least, only ever be listened to in its entirety (discounting the 4 extra tracks on the bonus DVD in the version I received). There’s a flow to the album which demands that you follow the curve, to jump into ‘I’m Not Crashing‘ without having heard the previous 18 minutes or so would diminish the experience to the point of negating the whole thing. With this in mind I find myself drawing comparisons between ‘The Big Red Spark‘ and another concept album I have to listen to in its entirety, Marillion‘s ‘Brave‘. Now, I’m not saying that Tinyfish are similar to Marillion by any means (although the influence of Mr Rothery is more than apparent in the guitar playing of Jim Sanders), I just feel that there is a similar impetus to the album. Both are dark concepts however Tinyfish manage to portray the darkness and concern of the ‘doomsday’ machine while retaining a levity to the music. It’s this juxtaposition of concept and performance which I find most intriguing, and it’s this which makes it works so well. prior to it’s release, the single ‘Isolation‘ which was available to stream from the Roadrunner website and the ‘Words Darker Than Their Wings‘ which was available as a free download for 24 hours from the same site prior to the album’s release. I must admit to being somewhat disappointed on my first listen, but then perhaps day 1 of R&R wasn’t the right time to try it out… but then I listened again and felt the same. Oh dear! Not one to jump to conclusions I waited a couple of days and set myself down in a quiet room with my headphones and tried again. This time it clicked, the power of Mark Tremonti‘s riffs is dumbfounding, the dynamics, the breaks, the arrangements are outstanding and Myles Kennedy‘s voice is, as ever, quite simply staggering. In retrospect I think the difficulty I had at first was that I was expecting a Blackbird II, or at the very least something which resembled a mixture of One Day Remains and Blackbird, but ‘AB III‘ is something completely different. As stated by the band the subject matter of this album is for more introspective and, as a result, it also smacks of a darkness not found in the previous offerings. Highlights for me would include the opening couplet of ‘Slip Into The Void‘ and ‘Isolation‘ along with ‘All Hope Is Gone‘ and the storming ‘I Know It Hurts‘, but to pick these out is an injustice to what is, finally, a tour de force in the catalogue of what is fast becoming one of my favourite rock bands of the new millennium. It may come as a surprise to many that, despite my various links to the band, and my predilection for the style of music they play, I have never owned an original release by Mostly Autumn. Shocking I know, but it’s the truth! Yes, I’ve seen them live on several occasions and yes, I know several of the current members very well (not least Andy Smith who plays bass in Morpheus Rising!) but I quite simply have never purchased anything they’ve released. Well, I’m glad to say that’s now all changed. I’m one of the individuals who pre-ordered ‘Go Well Diamond Heart‘, Mostly Autumn’s first album with Liv Sparnenn as lead vocalist. I had no choice really, Liv collared me at one of the Morpheus Rising gigs earlier this year and ordered me to buy it as some of the content would ‘mean’ something to me? And she wasn’t wrong. ‘Go Well Diamond Heart‘ has a theme running through it, not a concept as such, merely a common thread to several of the lyrics interspersed with some of the band’s more usual ethereal fair. The title track is dedicated to Ben Parkinson, a member of 7 RHA, who was caught in a landmine explosion in Afghanistan while ‘And Now The War Is Over…‘ could have been written for any serving member of the Armed Forces who have served in any conflict. The album has something for every kind of MA fan, there’s the acoustic folky feel to tracks such as ‘Violet Skies‘ and ‘Deep in Borrowdale‘, the straight forward rock of ‘Something Better‘ to the grandiose of the title track and ‘Ice‘ (included on the 2nd CD only available with the pre-order). Knowing members of the band I’m only too aware of the amount of work which was involved in producing this album and the end result is a testament to every minute of it. Emerging from 13 years with Heather Findlay as the lead female vocalist this album could have been lost somewhere in the ‘in between years’ while the band found their feet. I’m glad it hasn’t, and I’m glad I broke the cycle and bought this album, it’s a diamond. 3 great albums which will each rate highly in my 2010 rankings, but 3 very different experiences. This 'blog will run at least until February 2011. It will follow the lyric writing process for new material for the band Morpheus Rising while I am serving in Helmand Province. While I'm not writing material you will also find comment on music I'm listening to and some comment on songs which mean something special to me, for whatever reason.